The Romans taught the Andalusians how to cultivate wheat and vines and used the fish from the seas to produce the best "garum" in the empire. The Arabs taught the Andalusians how to grow fruit and vegetables. They used irrigation systems and improved the cultivation of olive trees and the production of oil. Furthermore, the Greeks, Phoenicians, Carthaginians and Visigoths left their mark on the art, science, culture and gastronomy of Andalusia. Its seas provide many types of fish whose quality is not easy to find in other waters. A good example of this is the red tuna, which when it swims from the Atlantic Ocean to the Mediterranean Sea on its yearly migrational route, is so delectable, so rich in aroma, just so unbelievably good that it has obtained the highest international valuation with regards fish quality. Sole, sea bass, white sea bream, red snapper, snapper, hake, red mullet, sardines, anchovies, plaice, whiting, king prawns (the Sanlucar variety are exceptional) prawns (the white prawns from Huelva are unbeatable), truncate donax, small shellfish, fiddler crabs, whelk, sea anemones (almost unknown in the rest of the world), crayfish from Adra, etc., which can be fried in olive oil and form part of an unbeatable "pescaito frito", can be grilled, cooked in seasalt, baked or simply boiled. Typically imaginative dishes include Rota-style dentex, tuna cooked with onions and melva fish stew. The Andalusian market garden has an abundance of varied products. Almeria especially stands out in this respect as it has developed a system to cultivate vegetables during the winter months. Top-quality vegetables abound, such as the tender baby broad beans from Jaen, extra-early potatoes from Motril, asparagus from Huétor Taja, artichokes which are especially delicious when cooked with clams, and aubergines, which Al Buran used for the first "alboronía" (vegetable stew). 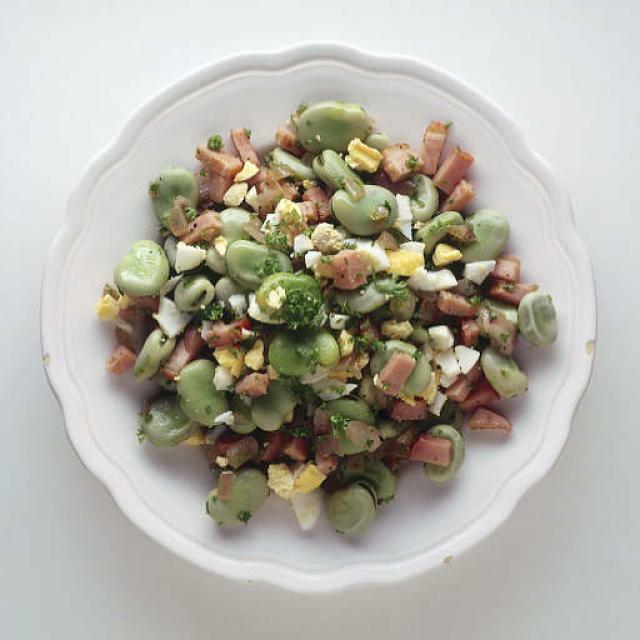 Habas a la Rondeña: This classic dish from Ronda - the enchanting Andalusian town that enamored the poet Rilke, Orson Welles, and the Bloomsbury writers, among many others- is a marvellous use of fresh broad beans. 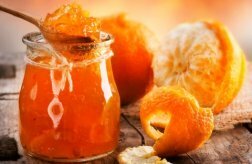 Fruit includes the sweet and tasty mountain oranges from Cordoba, persimmons, medlars, pomegranates, figs, prickly pears, strawberries from Alpujarra, cherimoyas, avocados, mangos, guavas, papayas and many other subtropical fruit from the coast of Granada and Malaga. If we had to choose between all the cured and salted meats and sausages which abound in Spain, the general opinion would be "jamón ibérico de bellota" (Iberian cured ham deriving from pigs which have been fed exclusively on acorns). 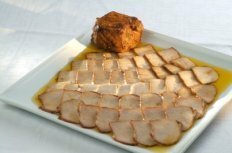 All the cured ham produced in the mountain ranges of Huelva and Cordoba is exceptional. It is difficult to find a product with such a rich aroma, with such a full taste, with such a soft texture, so nutritive and at the same time so healthy due to its composition of monounsaturated fatty acids. Gazpacho, or better said, the many gazpachos - "ajoblanco" (garlic and almond), "salmorejo" (much thicker and made with tomatoes only), "porra antequerana" (with eggs and tomatoes), "pipirrana" (with green peppers, cucumber, tomatoes and onion), - provide so many nutrients that they are considered dietary dishes, the perfect dish for sportsmen or anyone else who wants to ward off the heat with the water, vitamins and minerals contained in these relaxing and simple preparations. Stews were neglected for a long time by Andalusian restaurants, although they were always enjoyed by the locals at home. Today they have become fashionable and are so popular that they are becoming an important part of the Mediterranean Cuisine. 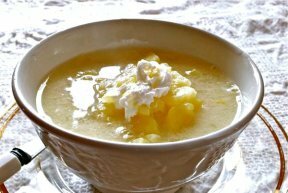 Casseroles made with cabbage, fennel, or spinach and cod, and stews such as gypsy stew are again appearing on the most select menus. 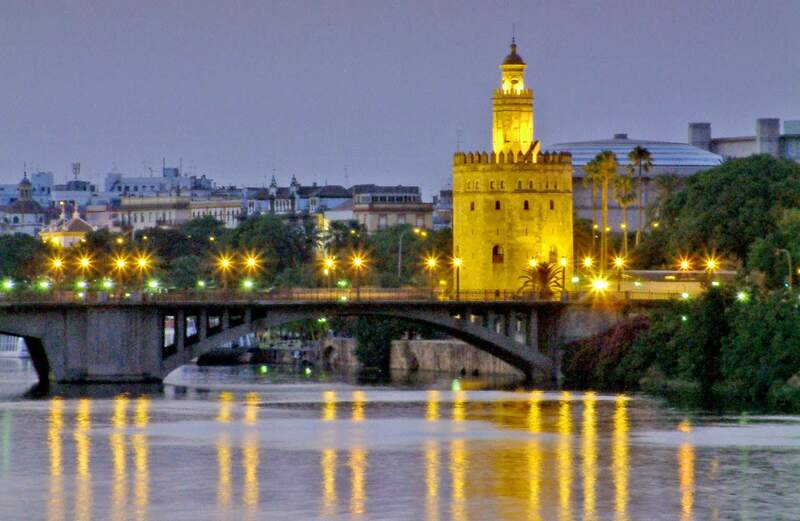 Oxtail, giblets, lamb stew, chicken or turkey in sauce with egg and almonds, Seville-style duck, kidneys cooked in sherry, form part of the meat dishes on offer in Andalusia and taste divine when seasoned with aromatic herbs. The Andalusian "tapas" deserve special mention. Some bars offer interminable lists with over a hundred specialities. It is common for bars to prepare two menus - one long version and one with the seasonal products available - and serve each tapa with its best accompanying wine. The only foreseeable problem is that the traveller can at first feel rather overwhelmed by the offer, but after a little reflection he will be able to choose between the various delicacies on offer, keeping in mind that the cured ham, fried fish, mini-stews, prawns, king prawns, shrimp omelettes, sea anemones etc. will not be found anywhere else in the world. There are various modern and normally very imaginative dishes which are a must, including the "secreto ibérico " which really shouldn't be missed. The usage of almonds and honey in Andalusian confectionery is reminiscent of the Moor occupation. Convents have conserved these traditions and offer "yemas de San Leandro" (an egg yolk cake), "buñuelos de San Benito" (fritters), "piononos de Santa Fe" (rolled sponge cake), pumpkin sweet cakes, "hojaldres de cabello de ángel" (pastries filled with pumpkin puree), crystallised grapefruit, fruit in syrup, "verdugados", "maimones" (sponge cakes), "pestiños" (honey coated pastries), etc. "Turrón de Cadiz" (nougat), marzipan sticks, quince jelly, "alfajors" (almond and nut pastry), lardy cakes, shortbread, doughnuts in wine, etc. are mainly industrially produced and well worth trying. The sherries from Jerez, such as "fino", "manzanilla", "oloroso", "palo cortado", "amontillado" and sweet versions, especially "Pedro Ximénez", are true treasures and extremely pleasurable. Malaga, Condado de Huelva and Montilla-Moriles have Denomination of Origin and produce classic high quality wines and sherries. Lately a few table wines have been introduced into their range and which are becoming more and more popular. The produce of Andalusia is very varied due to the great diversity of its landscapes and climates. "Mountain ranges, countryside and coast" is the traditional description of this region, but forgets to add that each of these landscapes vary enormously within themselves. Andalusia may have very dry mountain ranges but it also contains the mountain ranges with the highest rainfall in Spain. The countryside is a mixture of wide-open plains where crops are cultivated, soft slopes where olive trees are cultivated and rich meadows where vegetables are cultivated. The Atlantic and Mediterranean coast differ from each other enormously, especially with regards their fish. If the future of cooking relies on the availability of good and varied raw materials, Andalusia has a very good chance of becoming a culinary model. And if we add its culinary tradition, imagination and modern techniques to all this, the future of Andalusian cooking, already greatly admired, has no limits. 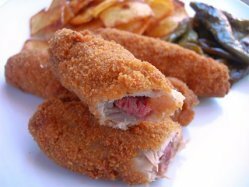 Almería, a reflection of the sea: Almería's cuisine is varied and natural, with quality products from both sea and land. A certain traditional isolation has resulted in a charismatic cuisine that preserves the most ancient influences, letting history seep into the present. 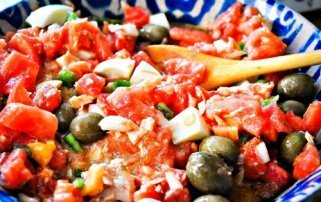 Cádiz: a myriad of influences: The food from Cádiz incorporates many different influences, like Phoenician, Roman, Arab and colonial. Being located between the sea, the mountains and the farmlands, Cádiz has recipes that combine a wide variety of ingredients. Córdoba: the sultana: Cordovan cuisine masterfully combines the excellent local produce with meats and fish, always fresh despite the fact that Córdoba has no coast. It is brought daily, the best and freshest.